If your son takes regular medications, our nursing staff will dispense the medications as prescribed by your doctor. 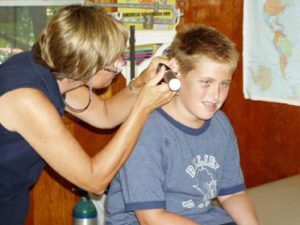 Because the number of campers needing regular medications has increased over the years, Shohola uses the services of an organization called CampDoc. You will fill out a health profile with CampDoc and all health forms will be submitted through their web site and also managed through their web site.